As usual, it runs on Oppo's ColorOS 5.1 and comes with support for expandable storage via MicroSD. “We see huge demand for affordable smartphones with flagship features and the AX5 will give our customers just that, with no need to compromise on quality or design. It’s that approach which has earned us Canstar’s Most Satisfied Customer award for 2018 and the AX5 builds on that promise further. 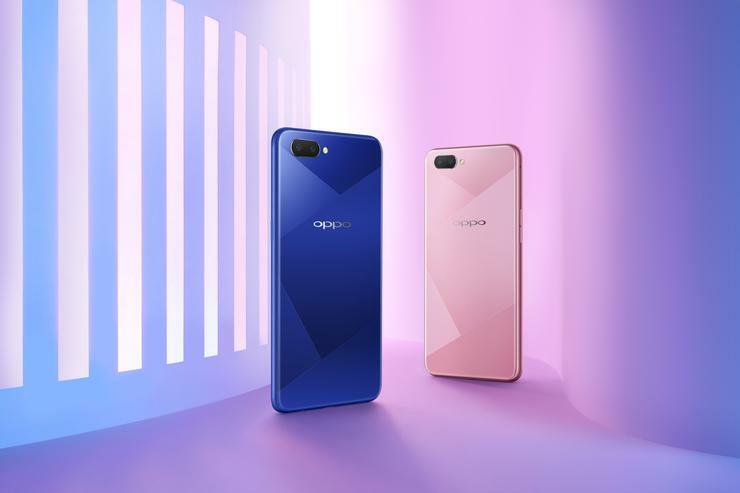 We cannot wait for customers to get their hands on and experience this latest device,” said Michael Tran, Managing Director at OPPO Australia. In Australia, the Oppo AX5 is priced at an RRP of $379. It'll be available from the 10th of September at JB HiFi, The Good Guys (Blue only), TeleChoice (Blue only), Officeworks (Blue only) and RetraVision. The device also be available through Woolworths and MobileCiti from the 17th.